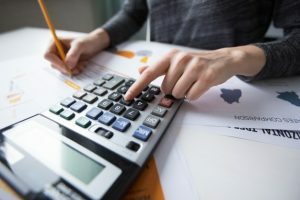 In easy words, A systematic process of identifying, recording, measuring, classifying, verifying, summarizing, interpreting and communicating financial information is accounting. It reveals profit or loss for a given period, the value and nature of a firm’s assets, liabilities and owner’s equity. In INVESTOPEDIA it defines; Accounting is the systematic and comprehensive recording of financial transactions pertaining to a business, and it also refers to the process of summarizing, analyzing and reporting these transactions to oversight agencies and tax collection entities. In short, accounting as information science used to collect, classify and manipulate financial data for organizations and individuals. Accounting evolved around the time societies started trading with each other. Over time, the mathematical calculation of accounting were adopted by nearly every culture. In the 15th century, a person name LUCA PACIOLI, an Italian mathematician and writer first, created a system of basic accounting. In A.D. 1494 he wrote a book called “Summa de arithmetica, geometrica, proportioni et proportionalita” & this book is regarded as an important document in accounting history of all time. For the very first time it gives a clear view & direction of a accounting system name double-entry accounting system. Most interesting fact is this book has illustrations and diagram drawn by pacioli’s friend Leonardo Da Vinci. 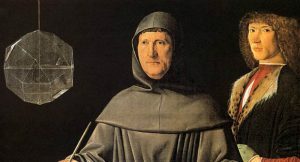 Pacioli described the use of journals and ledgers system in that book and suggest that a merchant should not rest until the debit equal the credit which is more like total assets is equal to total liabilities (A= L+OE). He also detailed the year-end closing entries and proposed a trial balanced be used to prove a balanced ledger. The first professional organizations for accounting were established in Scotland in 1854, starting with the Edinburgh Society of Accounting and the Glasgow Institution of Accountants and Actuaries. The organizations were each granted a royal charter that time and the member of such organization could call themselves “chartered accountant”. By the time the world entered into the modern era the American institute of Accountant set up the Committee on Accounting Procedures (CPA) in the late 1930s as a self –regulatory body and this produces a number of Accounting Research Bulletins, which were in effect statements on accounting principles and process and these were extremely successful in eliminating a number of questionable accounting practices that time. After few decades, in 1953 the Committee (CPA) on Accounting Procedures produced a standard framework of guidelines for financial accounting called the Generally Accepted Accounting Principles (GAAP). In 1993 the Committee on Accounting Procedures was replaced by the Accounting Principles board (APB). In turn, this was replaced in 1973 by the Financial Accounting Standards Board (FASB), who had additional powers to regulate the Generally Accepted Accounting Principles (GAAP). In 1990, this task was taken over by the Accounting Standards board (ASB) and today it is the ASB who have the task of setting and monitoring accounting standards.